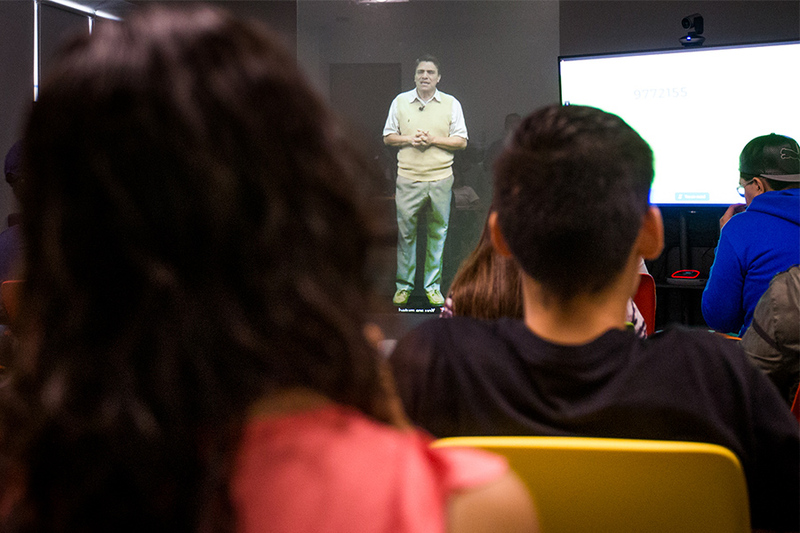 This past Thursday, August 21, Tecnológico de Monterrey gave its first formal class using telepresence . Although Tec is a pioneer in this technology , this was the first time the students took a class with a full-body projection of the teacher. The class given was Physics 1 by professor Alfonso Serrano Heredia, who was projected to 160 students from Monterrey, Saltillo, Chihuahua, Laguna, and Tampico simultaneously. “Telepresence has been tested for some months but it has been a work of years,” said Beatriz Palacios, in charge of Educational Innovation and Distance Education. This technology has been applied to classes in a more innovative way as a result of the implementation of Tec's new educational model, Tec21. "The experience [...] is accompanied by the formation of pedagogy and we share it not only with students but with teachers. We are strengthening that academic level," said Professor Serrano. "It was something new and I liked it, it was interesting [...] the teacher doesn’t have to be there and can teach many classrooms at the same time," said Marcelo González, a student at campus Monterrey. Tec is a pioneer and has been teaching using telepresence for some time. The model called Professor Avatar was created in conjunction with four other universities to personify and humanize education. Robots, where the teacher appears on a screen and controls their movements to simulate as if it were present, have been used before. This technology that has been improving in recent years. Just this summer, Belgian television attracted attention for his interview with footballer Eden Hazard using a hologram. At the institution, the MOSTLA emerging technologies center and the CEDDIE educational innovation center have collaborated to solidify the best option for educational purposes. This semester, another five professors will give lessons using telepresence technolgy to the Northern Region campuses. Currently, the Schools of Engineering and Medicine are integrating little by little the use telepresence in their courses. 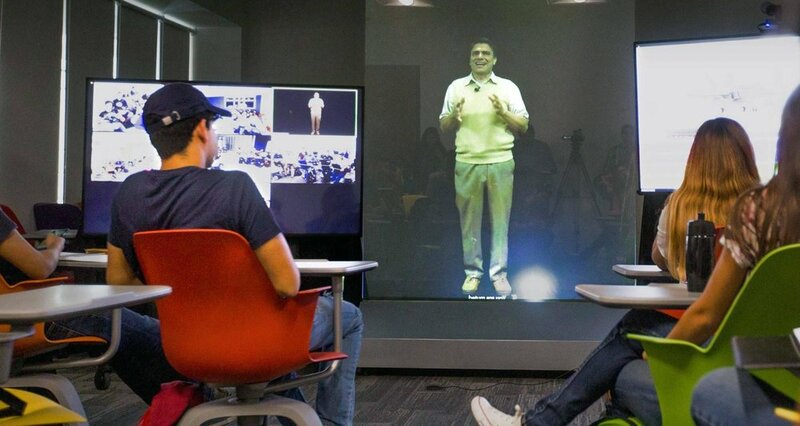 Telepresence can be adapted in different models and types of courses creating unique experiences, including those that do not have a distance modality.